Juventus only need a draw against SPAL this Saturday to be crowned Serie A champions for the eighth consecutive year. Their dominance is to be applauded, but it also means their rivals' standout stars may feel they have a more realistic chance of securing silverware elsewhere. Indeed, their closest challengers for the title this season are Napoli, but even they sit 20 points behind Juventus with seven games to go. Their players could be excused for becoming disillusioned by the gap to the top, particularly the star performers approaching the peak of their careers. Carlo Ancelotti has a host of quality personnel at his disposal. Lorenzo Insigne is one of Italy's top forwards, while Allan's battling performances in midfield saw him linked with a move to PSG in January. Arkadiusz Milik is Napoli's top scorer in Serie A with 16 goals to his name, and attacking team-mate Dries Mertens is one assist away from becoming the first player in Serie A to register double figures for goals and assists this term. The brightest jewel in the Napoli crown, however, remains Kalidou Koulibaly. 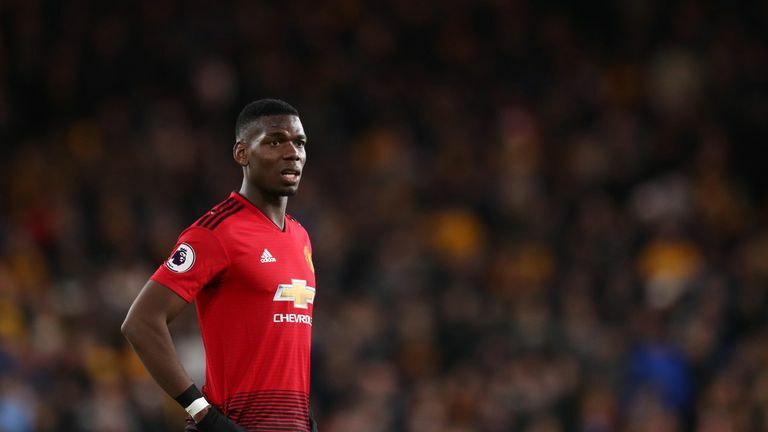 Reports in December linked Manchester United with £95m move for the Senegalese sensation, but Napoli's notorious owner Aurelio De Laurentiis is sure to do everything he can to keep hold of him. The 27-year-old is rightly considered one of the finest centre-backs on the continent and the rumours of a big-money move to England should come as no surprise. It could have been so different for Koulibaly and Napoli, too, had he moved to Norwich in 2015. The defender was one of Alex Neil's priority targets for the Canaries, but after Rafa Benitez moved to Real Madrid and Maurizio Sarri took over the reins in Naples, the deal failed to materialise. Koulibaly improved considerably under Sarri and the rest, as they say, is history. Koulibaly is expected to feature prominently in United's plans as they gear up for a hectic transfer window. United are planning a summer clear-out, according to Sky Sports News, as Ole Gunnar Solskjaer seeks to reshape his squad. As well as Koulibaly, their reported list of targets includes Jadon Sancho, Declan Rice and Aaron Wan-Bissaka. The need for a new centre-back is the most pressing priority. Koulibaly, approaching the peak of his powers, would be an ideal addition to the squad. United boast a statistically calculated WhoScored.com style of play of 'short passes', with the onus on building attacks from the back, so a ball-playing defender is of the utmost importance. Koulibaly's greatest asset is his ability to seamlessly pick out team-mates. He has developed a statistically calculated WhoScored.com strength of 'passing'. Only Marcelo Brozovic (1,886) has made more accurate passes than Koulibaly (1,868) in Serie A this season. His average of 73 passes per 90 minutes is higher than any other United centre-back, with Phil Jones (53) closest to matching that return. Koulibaly's passes aren't simply made for the sake of retaining possession. In fact, the Napoli ace makes more forward passes (910) than any other player in Italy's top tier, which means 43 per cent of Koulibaly's total passes go forward. Lindelof is the United centre-back that comes closest to matching that return on 37 per cent, followed by Eric Bailly (30.4 per cent), Chris Smalling (28.7 per cent) and Phil Jones (25.7 per cent). The latter pair's returns are damning and a clear indication of why United need to bolster at the back. Not only are the duo error prone, but the lack of incisiveness from defence for a team that has the lowest possession return (53.5 per cent) of the Premier League's top six has resulted in a series of stagnant displays. Solskjaer's appointment may have released the shackles, but United can't simply rest on their laurels. Now is the time to push on and the acquisition of Koulibaly would be a statement of United's intent to return to the summit of English football. On facing Barcelona's Lionel Messi in Wednesday's Champions League quarter-final first leg at Old Trafford, Smalling said this week: "It's something I relish. I say bring it on." Can Pogba run the game vs Barca? It's an impressive attitude, but given the form the Argentine is in, United fans will fear the worst about what might happen. With a player of Koulibaly's ilk in defence, it would surely be a different story. Koulibaly will hope to prove his mettle when Napoli face Arsenal at the Emirates Stadium on Thursday, and United are sure to be watching. The Senegal international's credentials are not in doubt but this is his chance to show an English audience that he is the centre-back to help United challenge for top honours again.